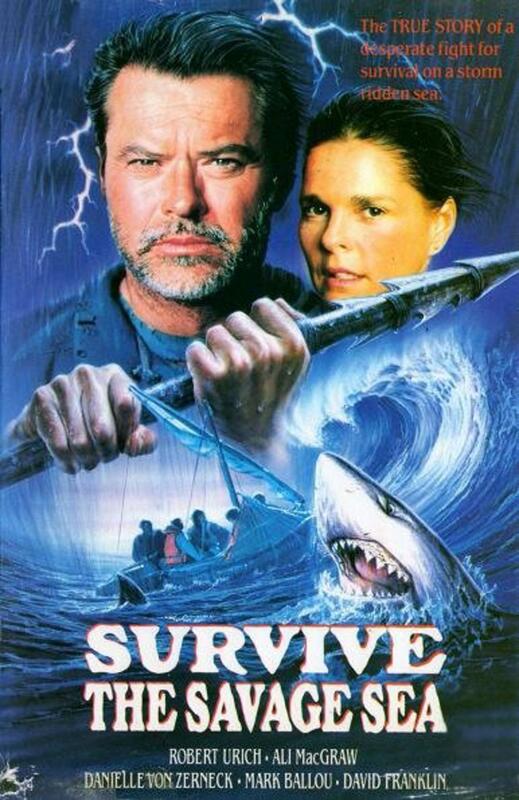 Starring�Robert Urich and Ali MacGraw.�A true story of survival, courage, compassion and love. Robert Urich and Ali MacGraw. A true story of survival, courage, compassion and love. In the early 1970`s the Carpenter family sold their farm and embarked on a sailing adventure across the South Pacific one of the largest stretches of ocean in the world. But what began as the culmination of a life long dream ends in disaster when their schooner is sunk. Hundreds of miles from civilisation, in a leaking lifeboat and with few supplies, seven very frightened people are forced to begin their heroic battle against the terrifying forces of nature.